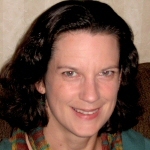 Victoria W. Wolcott is an Associate Professor of History at the University of Rochester. She holds a joint appointment with the Frederick Douglass Institute for African and African-American Studies. Wolcott’s book Remaking Respectability: African American Women in Interwar Detroit explores the migration and resettlement of black women in Detroit, Michigan during the 1920s and 1930s. Her new research analyzes the intersection of race and recreation in urban America at mid-century. She is currently researching and writing a monograph, Race, Riots, and Roller Coasters: Integrated Amusements in the Postwar Urban North, that explores segregation, racial violence, and leisure in northern cities.